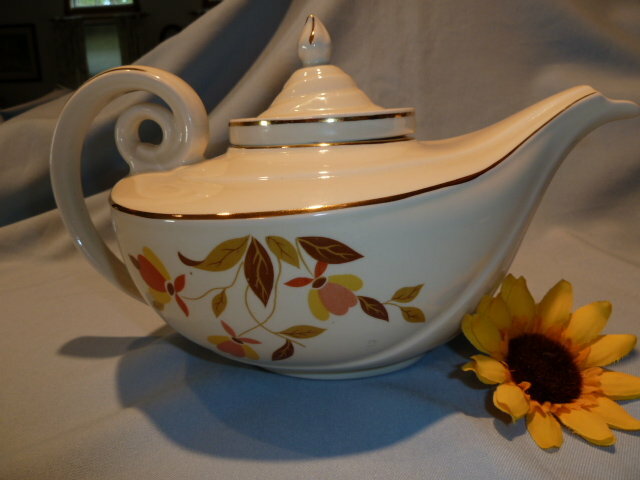 Beautiful Hall Autumn Leaf Aladdin Teapot with infuser. Colors on the pattern are bright and clear. 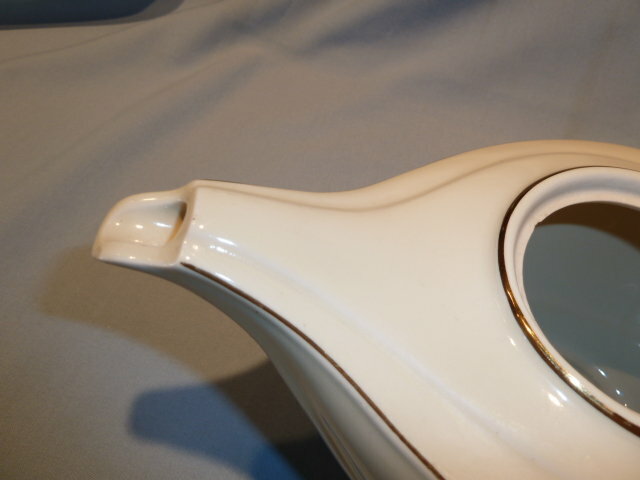 There is little to no wear to the gold and this teapot is complete, with infuser and finial lid. Measures 6 inches high with lid and infuser,11 inches wide including the spout and handle,and 6 1/4 inches at the widest portion. Clearly marked Hall Superior Quality Kitchen ware on the bottom. There is one tiny fleabite on the spout and one on the inside rim under the infuser. See the photo's for further details on this lovely vintage piece. Please see our other Autumn Leaf items. We are happy to combine items for shipping when possible. 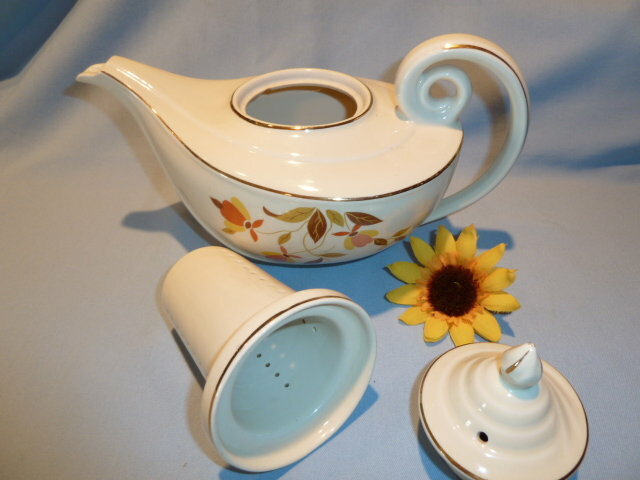 Items Similar To "HALL AUTUMN LEAF ALADDIN TEAPOT WITH INFUSER"